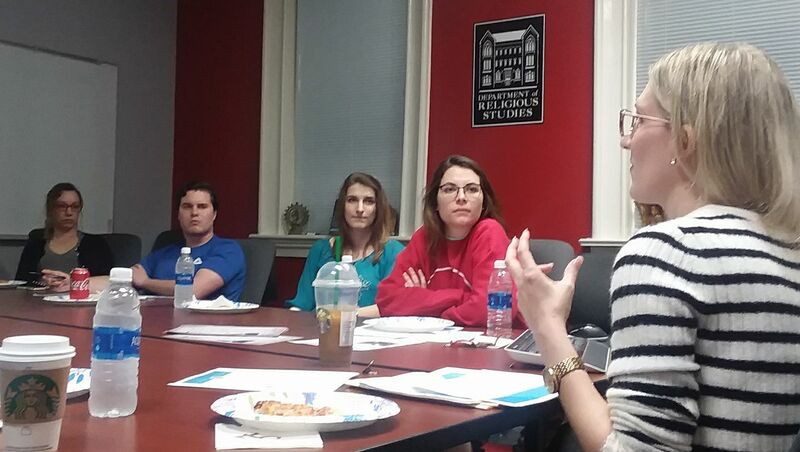 Last week, Khara Cole, who graduated from UA with a degree in Public Relations and Religious Studies in 2013, lead current students in a career workshop. The casual meeting launched last year as an RSSA initiative and continued this year (organized by Prof. Vaia Touna). The presentation covered everything from resume structure to LinkedIn formatting, and even nonverbal communication during interviews. 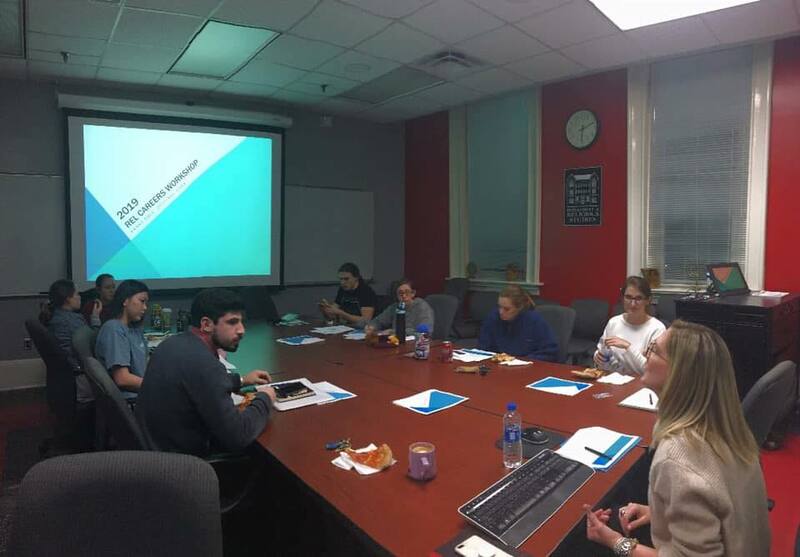 This past week, recent REL grad, Khara Cole (who works for Blue Cross/Blue Shield of Alabama), returned to Manly Hall to offer a workshop on careers, resumes, and interview tips. Khara, having graduated from UA in 2013 with a degree in Public Relations and Religious Studies, had a lot to say on the skills she acquired while getting those degrees, and how one can effectively discuss and employ those skills when preparing for a career outside the study of religion. Additionally, Khara gave great advice on how to stand out to employers before, during, and after the interview process.